Janny is one of Jacalyn's kittens (read her story too). 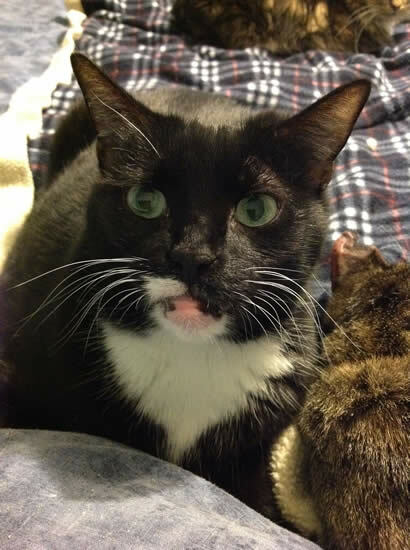 On April l7, 2007, when Jacalyn (a stray) was taken to a vet clinic to be spayed, the vet determined she had given birth within the past twenty-four hours. With a good idea of where the kittens might be, the bylaw person in Taber found the little family of five kittens, all alive albeit hungry! They were reunited with their mom after being alone for an entire night and most of the next day. Cats are incredible survivors, even little tiny ones! Since then, Janny has never been separated from her mom. She had a full dental done in the fall of 2008. She was very young for needing dental work so there was likely a genetic reason. 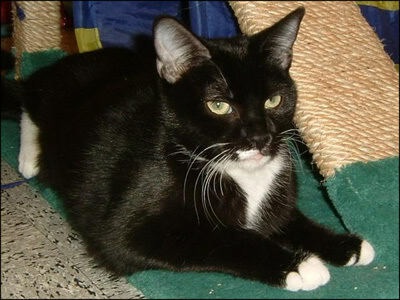 Janny is the only one of Jacalyn's kittens who is still waiting for a permanent home. She has a very gentle nature and chatty when she'd like some attention. She'll sit beside you or on your lap and flop on her back for tummy rubs. She'll try her best to lead you into the kitchen when she thinks it's time to eat! She does exceptionally well with other cats and dogs (of course, they all have to get to know each other). When it's playtime, Janny gets right down to business. Laser pointer, little mice, feather teaser, you name it, this little lady knows how to enjoy a good play session! Janny and Jacalyn were moved to a new foster home in August, 2014. They made the transition surprisingly well as they'd been in their original foster home for seven years. 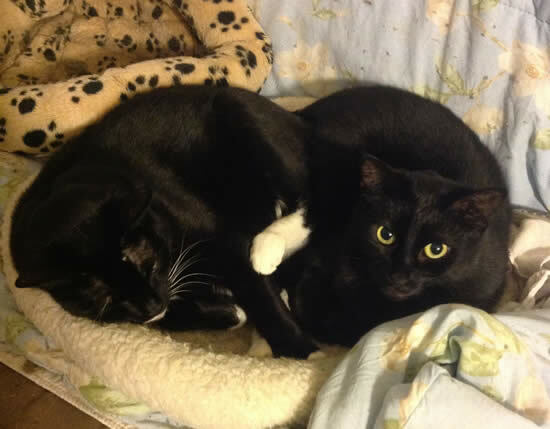 Says their new foster mom, "They are fun little cats to have around. Very sweet." They've waited a long time for a permanent home. We love when people take that into consideration when choosing their next little family member. 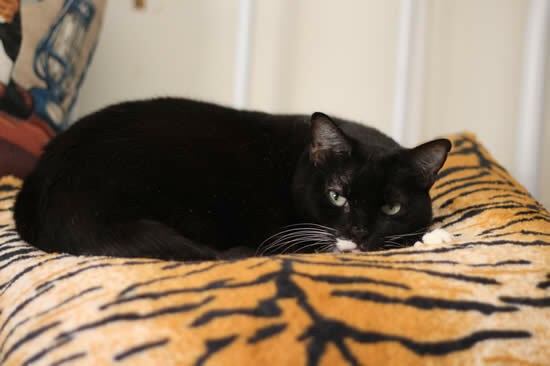 Janny, like all our adoption cats, is available to come to your home for a visit for a few days so you can get to know her.